Description: Do you have a password protected Access Data file (MDB)? Is your system administrator unavailable, and you need access to your data. Do you need to modify your MS Access program code, and the programmer isn?t available? Do you like to hack? "Remove Access Passwords" removes Database File Passwords in an MDB file. This is what everybody is talking about, and can be used by System Administrators, hackers or ordinary users. Description: World's Professional Folder Lock Pro, which enables you to lock/protect/hide/encrypt your important files, folders, videos, pictures, documents and more on your computer, as well as removable devices like SD Card, External Hard Drive, USB Drives and so on. This free encryption software Works with both 32-bit and 64-bit Windows Vista/XP/7/8.1/10. The complete data leak prevention suite. Description: Excel password remover. Instantly recovering VBA passwords and sheet protection passwords. 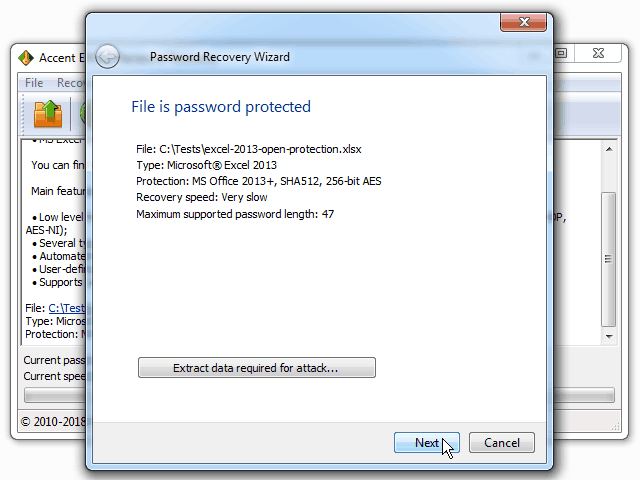 All you need to find hard-to-recover passwords - passwords to open in Excel documents. Brute-force attack, mask-based attack, dictionary-based attack. AccentEPR makes recovering Excel passwords more comfortable and faster. Everything necessary for a high-quality Excel password remover. 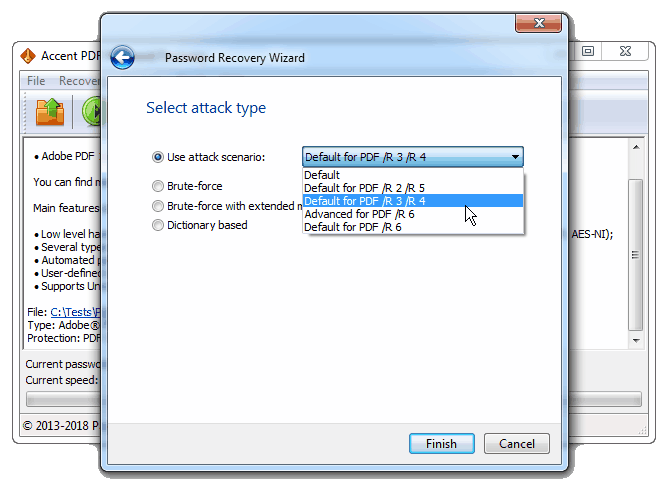 Description: Recover lost passwords to Word docs, Excel tables and Access databases. An extended password searching mechanism with three attack types (brute force attack, mask attack, dictionary-based attack). Supporting all kinds of passwords: opening password, changes saving password or an access password to databases. Laconic interface for quick and easy start. Some kinds of password can be restored instantly! Description: A professional tool that recovers passwords for Adobe PDF documents and instantly removes restrictions. Accent PDF Password Recovery guarantees maximum password-recovery speed for Document open password and instant removal of restrictions (deletes Permissions password). The program supports all versions of Adobe PDF documents and is equally successful in working with PDFs created in Adobe Acrobat 2-XI.